The whole point of having a building is so you can keep the climate inside the building different from the climate outside the building. Commercial building envelope inspections are designed to make sure that separation between inside and outside is as complete as possible. The biggest culprit of energy bill increases is air leakage. Without special equipment, air leaks only manifest themselves as drafts. Figuring out where a draft is coming from just by holding your finger in the air can be quite unproductive. 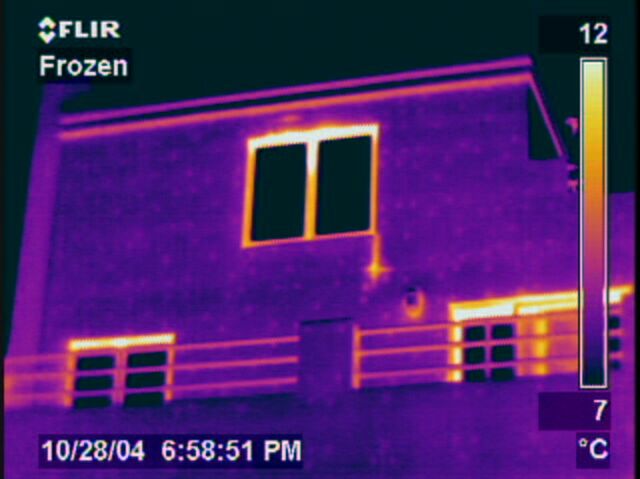 When, for example, cold air leaks into a building through gaps in the siding, inadequately insulated sections of wall, or improperly sealed windows, it shows up on the infrared inspection as much darker than the surrounding areas. Every moment that an air leak goes undetected it’s costing you money. Finding an air leak so can save you a tremendous amount of money on your energy bill!